CGPSC Recruitment 2016: The Chhattisgarh Public Service Commission has going to conduct the State Engineer Exam for the eligible candidates. The applicants who are waiting for the AE exam in Chhattisgarh can apply the CGPSC Assistant Engineer recruitment 2016. 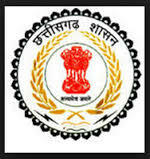 The Chhattisgarh Government has been released the notification to recruit the 107 AE (Elect/Civil/Mech/Agri) vacancy. The applicants must read the CGPSC advertisement 2016 to check the eligibility criteria. The aspirants who fulfill the eligibility details can apply the CGPSC Assistant Engineer application form 2016. The candidates must apply the online application for the CGPSC application form 2016 through the official site psc.cg.gov.in on or before 27th July 2016. You can also get the direct link for the Chhattisgarh State Engineering Service Exam 2016 notification and application. Name of the Organization: Chhattisgarh Public Service Commission. Content Name: CGPSC AE Recruitment 2016. Assistant Engineer Civil/Electrical/Mechanical/Urban Department: 12. Asst Engineer /Electrical/Energy Department: 04. Assistant Agriculture Engineer (Agriculture Department): 5. The applicants who have pass the Bachelors degree or equivalent qualification from any recognized university/institute can eligible to apply the CGPSC AE jobs 2016. The candidates should have an age limit minimum 21 years and not more than 30 years. Age relaxation will be available for the reserved aspirant as per the government rules. The shortlisted applicants will be based on the performance in written exam and personal interview process. The general aspirants need to pay Rs. 400/- for the application fee and Rs. 300/- for the reserved candidates. The candidates will be getting the scale of pay Rs. 15600/- to Rs.39,100/- + Grade Pay Rs. 5,400/-. Open the official site psc.cg.gov.in. Enter the application form without making any mistakes. Save the application form for further use. CGPSC Recruitment Notification 2016 release date: 29.06.2016. Closing date of application form: 27.07.2016. Chhattisgarh State Engineering Service Exam Date: 11.09.2016. Chhattisgarh PSC Assistant Engineer Exam Notification 2016. CGPSC AE Apply Online 2016 Application Form.